by Milton Shupe, Scott Thomas, Tom Fliger, Nigel Richards, Rachel Whiteford, and Jan Visser with help from SOH members. Special Retardant Drop Gauges by Hans-Joerg Naegele. This Grumman Tracker S2T(urbo), Marsh Conversion, features Functional VC model included, includes one Aircraft with three textures, authentic custom sounds, and custom panels with aircraft specific gauges, and beautifully crafted exterior textures. This aircraft release is one of 15 Grumman Tracker/Trader/Tracer aircraft in a series release. 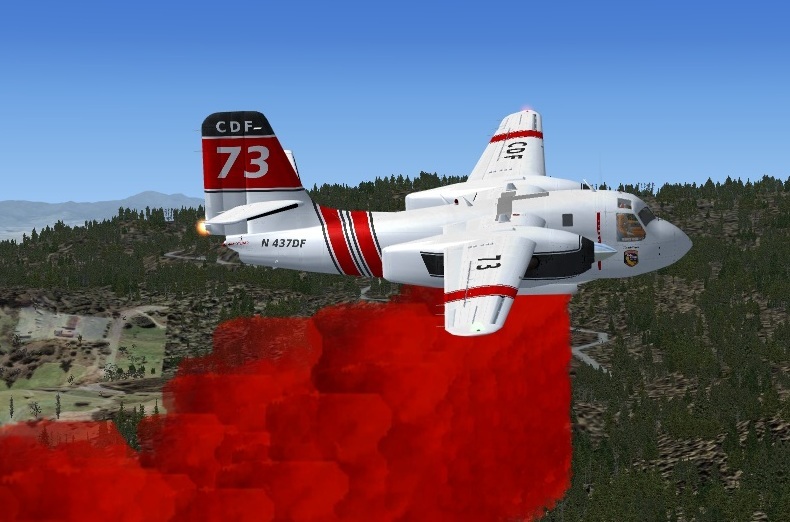 WILL NOT WORK IN FS9 as it contains FSX native texture formatting and FSX specific gauges for retardant drops. These authentic CDF textures were done by "Firekitten". Is there any chance this beauty will be updated to FSX Native ? I and many others would love to be able to use this beast in P3Dv4 !